After spending the last 12 months whinging about the Australian born ref who controlled their predictable world cup final loss to New Zealand, Ausfailure are again groveling for a ref from Ausfailure to help them beat the powerhouse England team that dealt to the Kiwis last week. 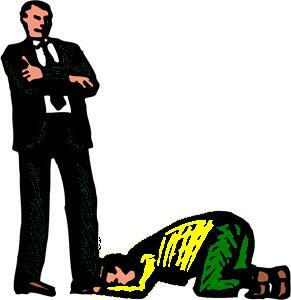 Clearly the green and yellow cowards from Ausfailure can see themselves being relegated to third place after losing to England and are doing all they can to get a much needed leg up in the final. Ausfailure have failed to beat their opponents in 3 of the last 3 finals when the full time hooter blew. World champion whiner Tim Sheens argued that a neutral ref was not something Ausfailure could cope with. Neutral referees were used in all of New Zealand’s game in the Four Nations tournament. However Sheens tripped himself up with this loser argument given that the form referee is Steve Ganson. “It’s got to go to the form referee, and for me that’s Steve Ganson,” RFL referees boss Stuart Cummings told The Guardian. Cummings is 150% correct. Ausfailure referees share the workload with two referees in their games but deny this is a result of laziness and a lack of work ethic by a nation of bludgers. Oswald P Wrong, noted anthropologist world famous for his studies of primitive races said it was not surprising that Ausfailure wanted a home grown referee. “Certain groups of primates can only function properly when grouped together with their own kind” he said. “Baboons, Orangutans, chimpanzees and Aussies fall into this category” Wrong explained. “Aussies like to think they are king of the jungle and introducing an intelligent life form into their midst can cause serious feelings of insecurity which often sees irrational and violent outburst from the lead apes” he said. “Just ask Ashley Klein” Wrong concluded. Meanwhile Ausfailure captain Darren Lockyer was full of praise for New Zealand. Ausfailure lost the ashes again to England this year in an embarrassingly poor final. The skipper also revealed he had serious doubts about whether Australia would make the decider after their 20-all draw with New Zealand in their opening match of the tournament. Bluey Crackersport said as much after Ausfailure once more failed to beat New Zealand in the opening game of the tournament. This will the fourth consecutive major tournament where Ausfailure has failed to beat New Zealand when the full time hooter blows in a final. But Lockyer’s admission is the first sign we have seen of Ausfailure facing reality for some time. He is admitting that England are good enough to beat Ausfailure again and it’s not often we see the captain of Ausfailure predicting another inevitable loss. No wonder Sheens want to add a bit of insurance.